It’s one proposal being looked at by Dublin City Council. DUBLIN CITY COUNCIL is looking at housing homeless people in prefabs on vacant sites. 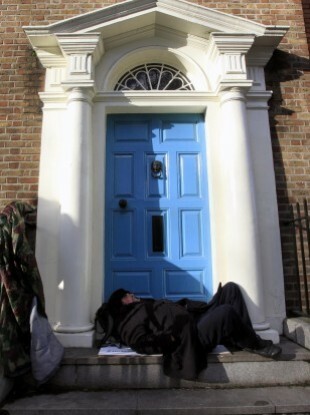 As it stands there are 156 families including 341 children living in Dublin hotels. It’s being reported that the buildings would be insulated with cooking facilities and separate living and sleeping areas. I don’t particularly think that they are … there are a couple of thousand properties which have been boarded up. Dublin City Council are being funded to reopen that and that’s the first thing [it should do]. Sean Moynihan, CEO of ALONE - the charity that cares for older people in need – said he is “astounded by such a proposal”. Considering that there are a substantial number of boarded up units in Ireland, with a large number of these located in the Dublin City Council area, you would expect that DCC would invest in refurbishing these purpose built housing units. He said that ALONE has previously called for the release of these boarded up units to organisations and charities such as itself. Moynihan said that 25% of all calls to ALONE relate to older people’s housing needs, and noted there are currently 4,765 older people in Ireland in need of housing. ALONE says that older people are increasingly finding themselves in situations where they are homeless or living in unsafe and unsuitable conditions. In the last quarter, ALONE saw a 50% increase in calls for support, with a majority of these relating to housing issues. Email “Dublin's homeless could be housed in prefabs”. Feedback on “Dublin's homeless could be housed in prefabs”.